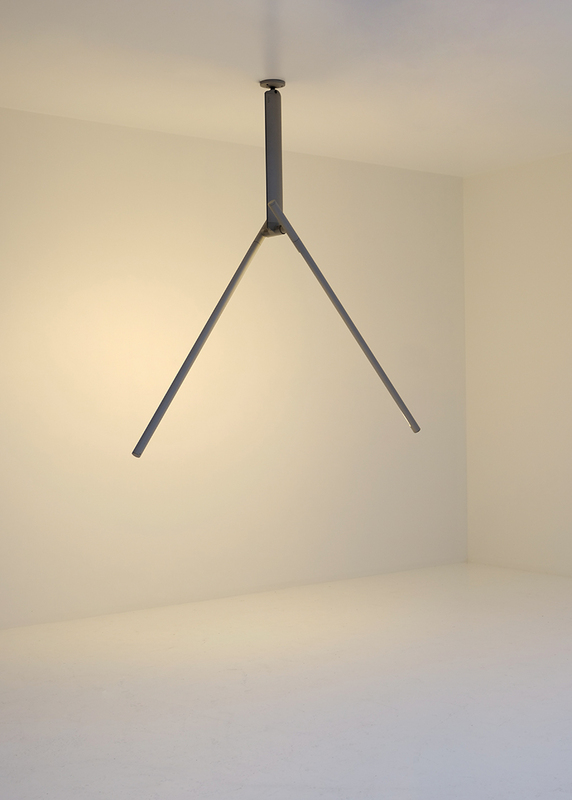 This ceiling lamp is a unique design of Italian designer Rodolfo Bonetto. 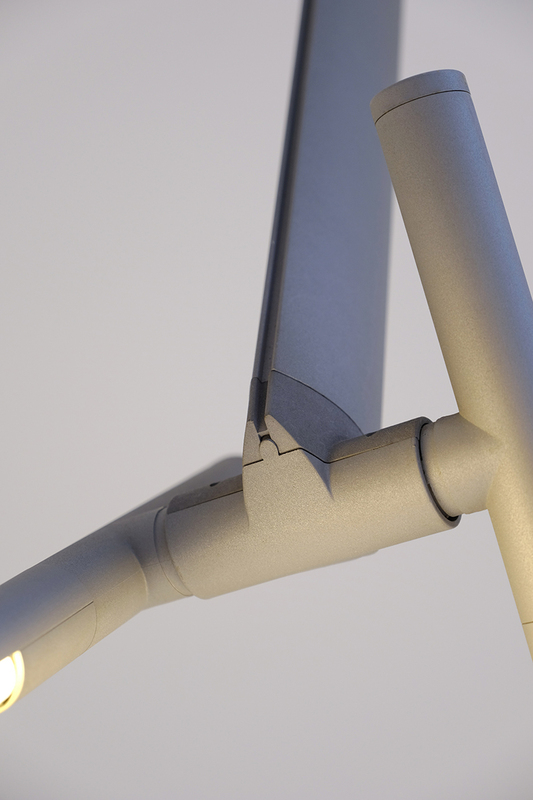 It leans closely on to the LUCI SISTEMA FLU-lamp Bonetto designed in 1981. 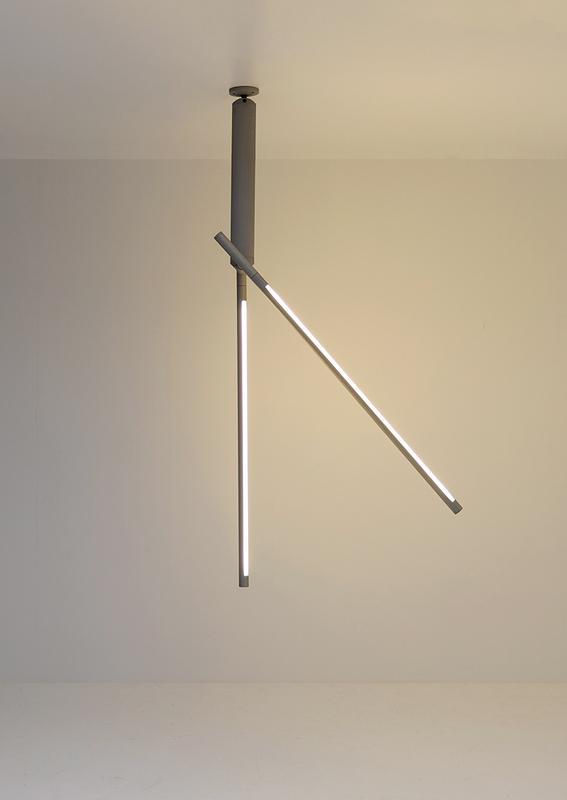 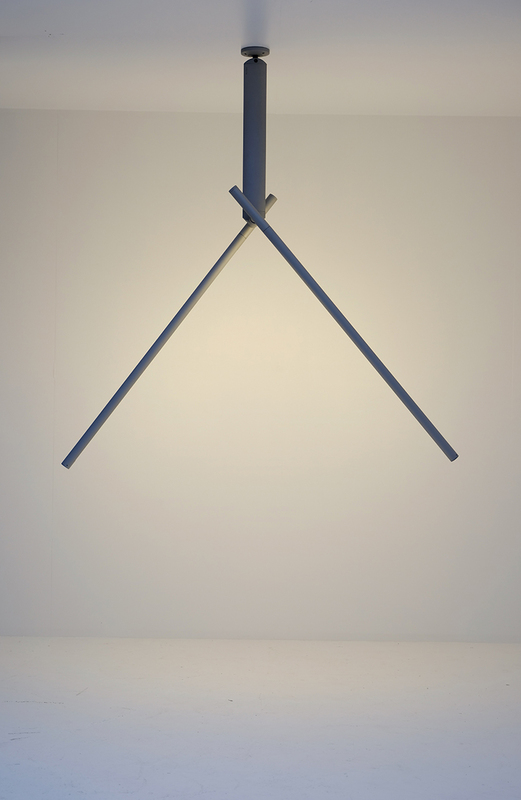 The hanging system of this lamp is much larger and differed of shape, which makes this lamp very exclusive . 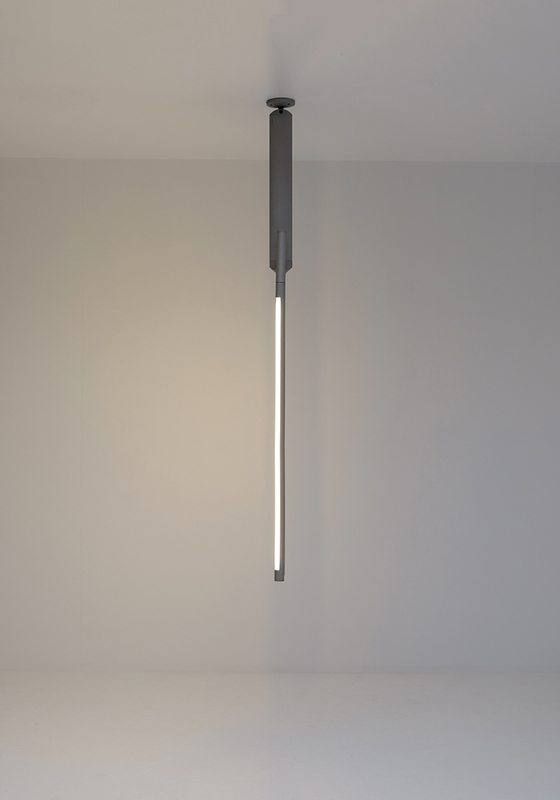 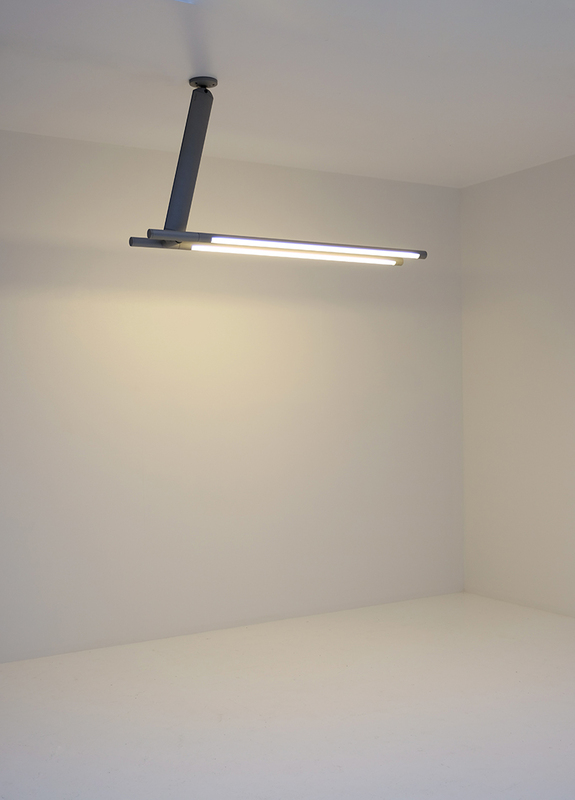 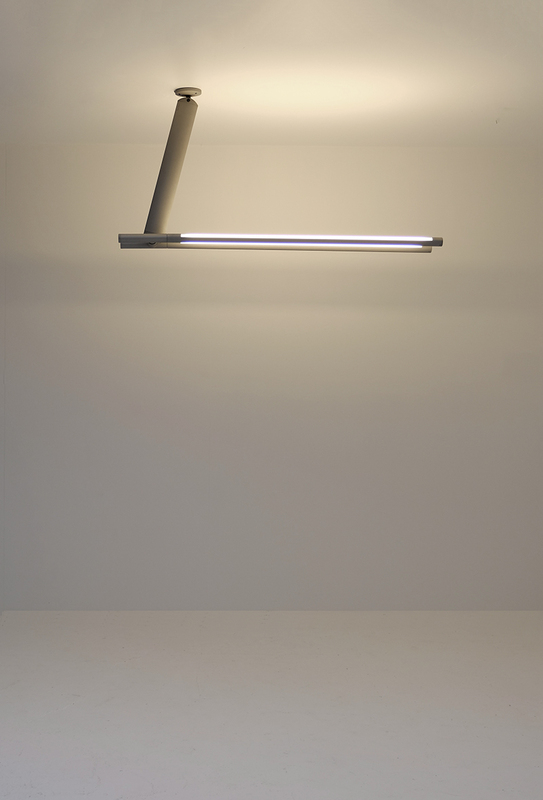 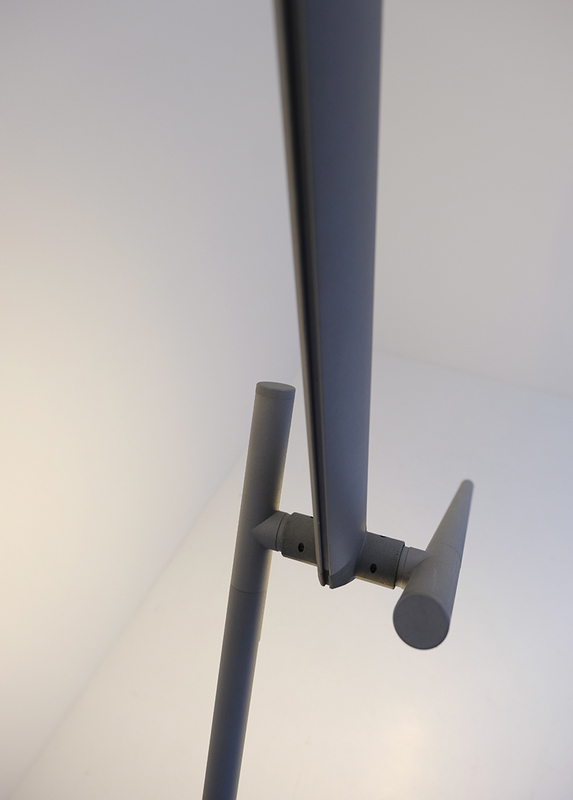 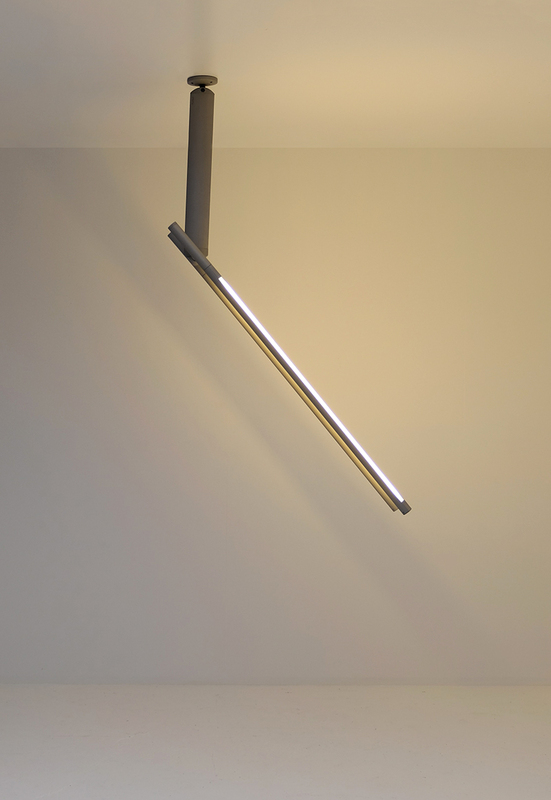 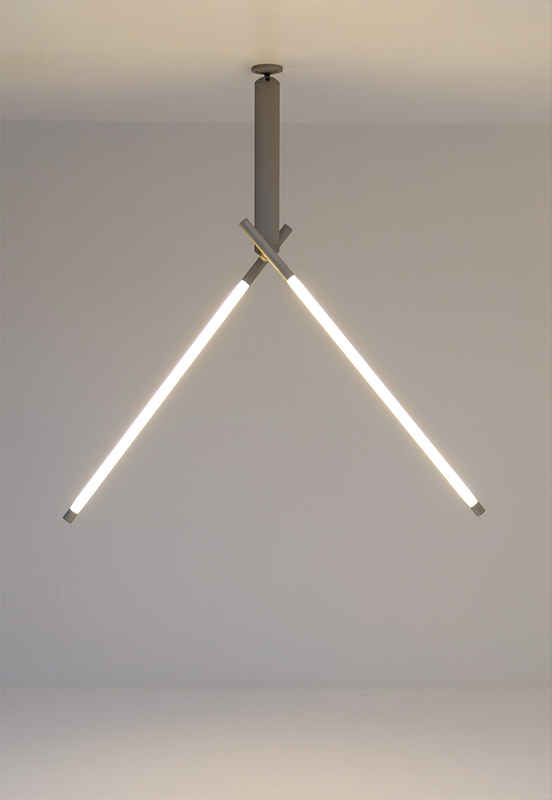 The arms are adjustable by rotation , which allows direct or indirect light. 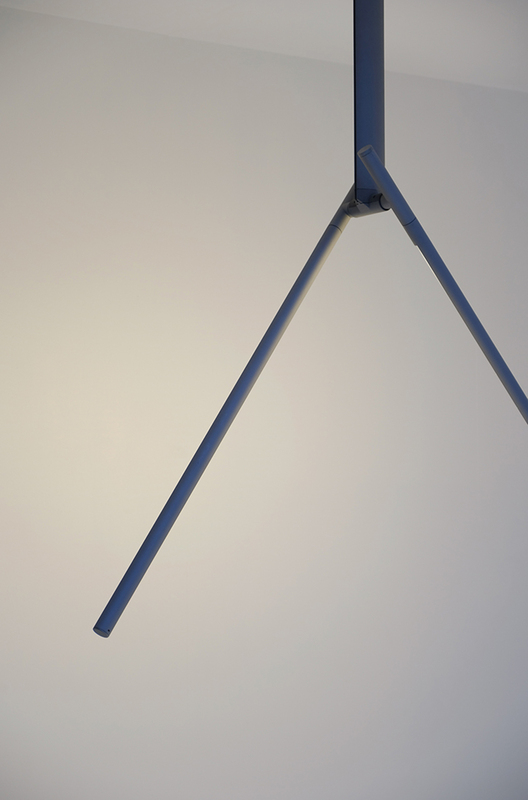 The lamp is labeled Luci Italy and stands in an excellent condition.